The Axe brand for baseball bats seemed to have become popular almost overnight, but that’s not a surprise when you see bats like the 2018 Axe Elite BBCOR baseball bat coming out. It comes with its famous axe handle design, but that’s not the only feature that makes you want to get one for yourself. That axe handle is really different, because it’s not like your usual round baseball handle. But it’s not so different that it’s not allowed for baseball games. In fact, players such as Dustin Perdroia and Mookie Betts have been using these bats for a while now. With this 2018 Axe Elite BBCOR, however, the axe handle is just part of a truly awesome package. Here are the features that come with your latest 2018 Axe Elite baseball bat. This is available in sizes ranging from 31 inches (28 ounces) to 34 inches (31 ounces). The Axe Elite is a 2-piece design, and the swing weight is end-loaded so that you can generate more power at the end of the bat when you swing. This is a hybrid construction, and the barrel is made from “Premium Mantic Alloy”. This is what Axe calls their “strongest ever” alloy, so it’s literally top of the line. The military grade alloy promises explosive power and pop, as well as laudable durability. The handle is made from lightweight composite, and it is “flex-tuned” so that it offers an increased whip effect. The flex-tuning is meant to reduce vibrations that travel down the length of the bat after a mishit. The handle also reduces the vibrations by means of their unique “Endogrid” technology that’s built into the handle. This technology absorbs the shock of the vibrations that hits your bottom hand so your swings are smoother and a lot comfier. You’ll also see the special Axe Handle, which is shaped like the handle of your proverbial axe. This means it’s not perfectly round. The way it’s designed at the bottom of the bat handle means that you’ll be holding the bat the same way on the same areas each time you hit. The configuration of the Axe Handle also means that basically you’re making contact with the baseball only with the same side of the bat each time. Because of this, Axe came up with their Engineered Hitting Zone, so that the strength is enhanced for that contact area that spans 270 degrees. To improve the balance, this bat also features the Composite HyperWhip End Cap. This gets rid of unnecessary weight from the top of the bat barrel. As a consequence, you’re able to swing faster. The removed weight at the top also means that you get a large sweet spot and an effectively bigger barrel. You get a bat with an end-loaded weight distribution. This is a must for power hitters, as the weight at the end can really get that ball flying out of the yard in no time. You’ve seen the way a hammer works—the weight at the end pounds the nail into the wood. That’s how you also pound the ball out of the park. At the same time, you still retain better control because of the specially configured Axe Handle. It’s just fits in your hands more naturally. The curved knob locks in your hands on the handle, and this gives you greater control and a more even swing. It also gives you a better grip so you’re able to generate a stronger swing as well. Having this much control over your bat isn’t really common for end-loaded baseball bats. The conventional wisdom is that you can pick one—power or control. You get power with the end-loaded design but less control. Or you can get a balanced design, for better control, and you end up with a lot of singles instead. You also have the Composite HyperWhip End Cap to improve the balance and boost the swing speed. This overall design gives you both power and control. It’s extraordinary. Part of the performance comes from the quality of the alloy. Since Axe baseball calls it its strongest ever alloy, you’re pretty certain that there’s no other Axe bat that will exceed the performance of the barrel. This alloy is certainly durable, so you won’t have a misshapen barrel after only a few games and contact with the baseball. This barrel also boasts of a large sweet spot. For many players, having a large sweet spot is necessary so that they’re not forced to make contact with a very small area of the bat. Most young players haven’t mastered their hitting mechanics enough to settle for a small sweet spot. The larger sweet spot offers a better performance because of its more forgiving nature. Having a large sweet spot is also crucial for players because mishitting the ball results in vibrations traveling down the length of the bat. When these vibrations hit your hands, they can really hurt. But the bat has design features that are meant to reduce the severity of this problem. It comes with a 2-piece design, and that keeps the vibrations from traveling down the length of the bat too easily. What really minimizes the effect of these vibrations is the Endogrid technology, which has been built-in with the construction of the handle itself. It doesn’t just rely on the grip to minimize the sting. You can read about a one-piece design baseball bat to compare. Is it perfect? There’s no such thing as a perfect bat, especially as players have their own preferences. The end-loaded design certainly makes this not such a perfect bat for contact hitters. It’s true that the axe handle design offers better control, but then so would a more balanced bat. The axe handle itself may take some time to get used to. But sometimes it’s all about personal preferences, and you may not like the unfamiliar feel. It just doesn’t give you that same feeling you get with a traditional handle. As a case in point, when Mookie Betts first tried this bat, he did so along with his teammate Xander Bogaerts. Mookie liked it, but he had to go through a transition period until he could use this full time for the rest of the 2015 season. Bogaerts, on the other hand, tried it once and didn’t like it at all. It’s not really a cheap bat, but that’s because quality doesn’t really come cheap at all. Still, it’s not really exorbitantly priced, and at least it’s very durable. In 2011, the NCAA instituted the BBCOR standards that basically limited the performance capabilities of bats. This was necessary because manufacturers were favoring performance by sacrificing durability. The best bats offered insane performance but they didn’t last long. This meant that basically the rich players and teams had an advantage, as they can afford to keep buying bats that required frequent replacements. The BBCOR standards democratized the playing field, but the change also meant that in many ways these BBCOR bats had the same performance. But this was true only for the barrel material and engineering. Axe proved that a better bat can still stand out, simply by changing the handle to something that’s a lot more ergonomic than a round handle. When your bat is used by MLB players like Pedroia and Betts even though you don’t have the long history and tradition of other bat brands, you’re on to something. Bottom Line – Is This Axe Bat For You? 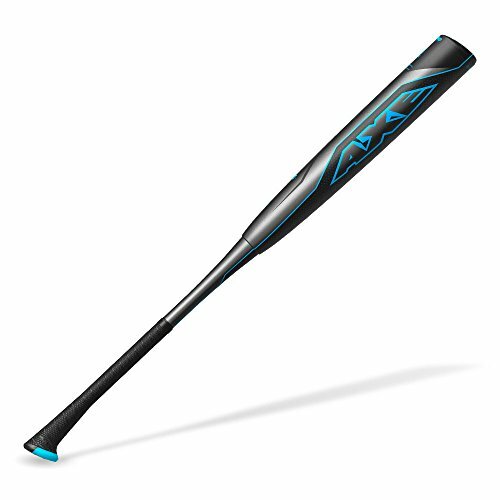 This 2018 Axe Elite BBCOR – L130F offers a truly great combination of features for power hitters. It offers top BBCOR performance, but you also get amazing durability that you don’t always get with other high performance bats. The end-loaded weight distribution means that you get the power you need when you take a big swing, yet at the same time you don’t sacrifice too much control since you’re using the Axe handle that’s simply a lot more ergonomic and easier to swing. It also has a large sweet spot. In case the baseball still hits outside this area, then you won’t have to worry too much about the vibrations. The 2-piece design cuts down on the amount of vibration that travels down the length of the barrel, while the Endogrid technology dampens the force of the vibrations. It offers a win-win situation, in other words. Get the 2018 Axe Elite BBCOR Baseball Bat for yourself, and once you get used to it you’ll find yourself hitting for power a lot more frequently each time. This bat seems designed to increase your homeruns! If this bat isn’t for you then you must check out this list of BBCOR bat with best pop. Want this Axe Elite with Free shipping?